Sports have the power to shape and develop athletes on and off the field – or in swimming’s case, in and out of the pool. Dedication, commitment, drive, and perseverance are all adjectives that come to mind when describing values and characteristics of swimmers. Nevertheless, the ultimate universal truth that the sport has garnished onto its athletes is if it doesn’t challenge you, it doesn’t change you. Now the change referred to in this statement does not strictly apply to external changes such as best times, races, or vigorous practices but also to the internal changes, formation of morale and camaraderie, the creation of life lessons and memories, and the insight to fresh perspectives. If there is one program that has demonstrated the byproduct of internal change through swimming, it is Team IMPACT. Team IMPACT is a foundation whose mission is to connect children ages 5 to 16 facing serious and chronic illnesses with local college athletic teams, forming life-long bonds and life-changing outcomes. Team IMPACT has not only changed the lives of ill children but also inspired young adults on these college teams, encouraging them to look at life from a different point of view. “We are bringing two very diverse groups together. Many of these college athletes have not experienced a childhood illness, and so many of these families are not familiar with college athletics. Therefore, our goal is to provide the support, the staff, and the resources to connect these people and make these relationships successful,” said Amy VanRyn, director of programs at Team IMPACT. Since its founding in 2011, Team IMPACT has paired with over 500 colleges, 62 of which have been collegiate swim teams. With that being said, Swimming World had the opportunity to sit down with coaches, families of Team IMPACT, and student-athletes at University of Arizona, Florida Institute of Technology, and Fairmont State University to talk anything and everything Team IMPACT. The University of Arizona Men’s and Women’s swim team is one of many to jump on the Team IMPACT bandwagon. Prior to their 2018-19 season, the Wildcats welcomed 12-year-old Colton Hoffman to their team. Hoffman was born with an extremely rare genetic disorder. Mother Jen Hoffman told Swimming World that it is so rare that it is the only known and diagnosed case. Due to his genetic disorder, Hoffman has poor muscle tone which makes it difficult for him to walk for prolonged periods of time. He also faces other complications such as short stature in addition to speech and cognitive delays. Treated like any other member of the team, Hoffman had his own official signing day in the University of Arizona’s press conference room with all swim team and coaching staff present. This moment is often very special, as it is the initiation of welcoming the Team IMPACT kid into their second family. The Wildcat’s natatorium has now become Hoffman’s home away from home. As the young adults on Arizona’s swim team admire the life lessons they are encountering through Team IMPACT, Hoffman’s parents are equally impressed by the support system of these elite athletes and how Team IMPACT has been an unforgettable opportunity. “We hope that through Team IMPACT, Colton knows he has other people that he can lean on and trust and be a part of his life that go beyond just his parents or his sister,” said Jen Hoffman. Another team making a difference in a child’s life is the Florida Tech Panthers. FIT adopted AJ Demarest onto their team this past November through Team IMPACT. Demarest was diagnosed with multiminicore congenital myopathy and other rare disorders when he was born. The doctors said he would not live past two, but here he is three years later still fighting every single day. Only now, he is backed by a team of 49 swimmers to help him do so. 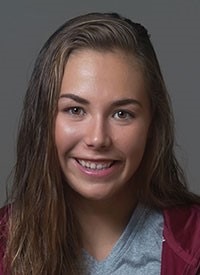 Both Demarest’s family and the Florida Tech swimmers and coaching staff can attest that being part of Team IMPACT has been a unique and eye-opening experience for all those involved. “AJ brings us closer together as a team and helps us realize that there are much more important things in life than swimming. Seeing him smile is better than any best time!” said sophomore Sam Hartle. The commonality that both Arizona and Florida Tech swimmers have vocalized is the fact that Team IMPACT is invaluable to them in so many ways and is a pleasant reminder that there is more purpose to life than to be defined in solidarity as a swimmer. In November of 2015, 5-year-old Simon Rohaly was diagnosed with stage four neuroblastoma. Fortunately, Simon has been disease-free since July of 2016. To get to this point, Rohaly had to go through a lot of treatment including the following: chemotherapy, radiation, stem cell transplant, immunotherapy and several surgeries. Check-ups are still consistently attended and scans taken to take preemptive action in making sure he stays healthy. It has not been an easy journey, especially for Simon’s older brother Rio Rohaly. Seven-year-old Rio has not only been strong for his brother but also had to sacrifice a lot. Thus, the entrance of Fairmont State into the Rohaly’s lives marks yet another blossoming of a Team IMPACT relationship. The Falcons swooped in to provide support and inclusion for both Rohaly brothers. Not only did they want to provide support for Simon but also include Rio, who is a swimmer on Fairmont’s local club team and is familiar with some of the university’s swimmers and coaches. Although the Rohaly brothers have not had their official signing day with Fairmont State, they are anticipated to become official members of the team within the upcoming weeks. Head coach Patrick Snively states that his swimmers will feel nothing but excitement and exhilaration welcome both young boys to the team. He hopes that the resiliency that Simon has will be insightful to his student-athletes lives. “We want this to be a two-way partnership. If they need anything from us, we’ll be there. When they need assistance in raising funding for the Band of Parents campaign that helps families of children with Neuroblastoma, we’ll be there to lend a helping hand. When they need an extra push, we’ll be their biggest cheerleaders,” said Snively. Since its establishment in 2011, team IMPACT has been driven to expand to all colleges and reach a wide array of sports programs. Private and public, NCAA and NAIA, from volleyball to softball or even fencing to bowling, Team IMPACT is pairing up with schools and sports programs of all types to enrich the lives of others in their local communities. Cindy Parsons Ponton…is that Casey on the left?